Hello! It's time for a brand new CR84FN Challenge! 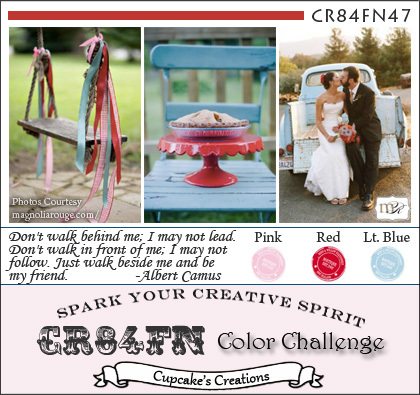 CR84FN47 will last for 2 weeks. Our color palette is Pink, Red and Light Blue. Photos courtesy of Magnolia Rouge. Please welcome our Guest Designer for the month -- Monika! 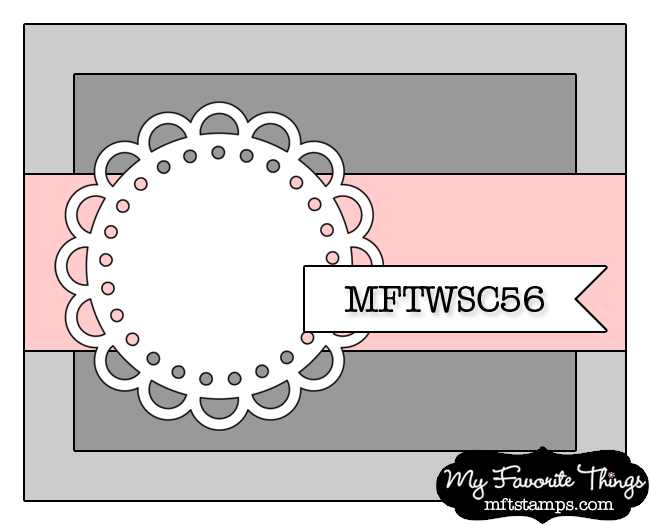 Today I used the sweet Pure Innocence - Blowing Bubbles which was part of the MFT Classic Kids VIP collection. For sketch inspiration, I used this week's WSC Getting Sketchy #56 from My Favorite Things. All the challenge details can be found HERE. Accessories: Standard Circle Nestabilities (Spellbinders), Die-namics Open Scallop Doily Duo, Die-namics First Place Award Ribbon (MFT); Markers (Copic), Foam tape, Thread, Sewing machine. She's so cute and beautifully coloured. I love to blow bubbles, especially in the sunshine when you can see patterns on their surface!! Great papers - such a fun card! ADORABLE! Sweet sentiment and sweet card! Lovely use of the sketch! This is super cute Stephanie! It is such a treat to look at you creations. Hugs! Stephanie, She is just so DARLING! You papers and stitching just add to the overall CUTENESS factor of this card! Really cute! I love the image. Your papers are so pretty. This is so sweet, cute and gorgeous. I love that image and your card made me smile the moment I saw it. Lovely! Such a fun card Stephanie! 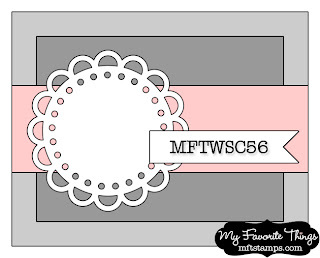 Love that fun MFT image and sentiment! Great mix of patterned papers and dies! 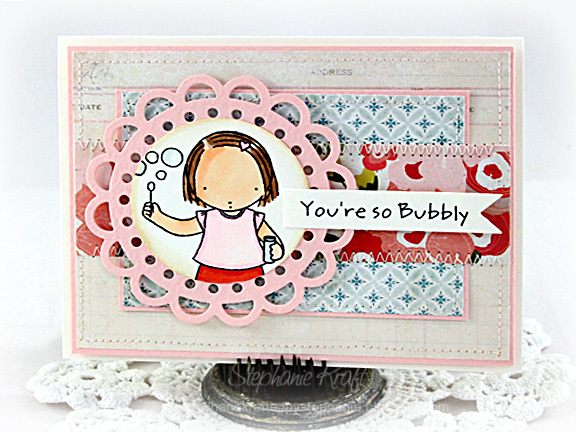 Very pretty and I love that sweet stamped image, brings back happy memories. Stephanie! This is absolutely LOVELY!!! What a beautiful image and such fun papers! Too sweet! Wonderful paper combination and coloring!